AGA Rwanda member shows what he is able to achieve. As exhibitors from the just concluded Rwanda International Trade Fair (RITF) are celebrating their success stories, a section of the business community is unhappy because they were banned from the event this year. “It is frustrating. Traditional healers from other countries were allowed at the Rwanda international Trade Fair but we were refused our right to exhibit what we do and to meet our clients,” Aimable Abdul Tuyisenge public relations officers AGA Network associations of traditional healers told KT Press. Across the country, especially in Kigali city, traditional herbalists are seen advertising their medicine where they claim to cure infertility, boost virility and a host of other diseases. They even seek space on radios where they lure the general public to visit them. They have won the hearts of a cross section of citizens who think that they are the answer in curing diseases modern medicine is not able to cure. Rwanda’s health officials have told KT Press that, there is no law regulating traditional medicine though the ministry has put in place conditions to be registered as practitioner. Herbalists told KT Press that the conditions are hard to meet. In consequence, more than 14,000 practitioners who have a long list of diseases they claim to treat, could be questionable. “Herbalists are not allowed to advertise and rent commercial buildings for their services. This is not how ancient traditional healers used to do; one would get wounded and just go find them at home,” Joseph Kabatende in charge traditional medicine at Ministry of Health told KT Press. From this perspective, officials from Rwanda Private Federation who organize the Expo told KT Press that they got a directive from Ministry of Heath not to allow traditional herbalists into exhibition stands until further notice. Kabatende said, citizens were provided with modern medicine facilities, if they fail to go to them that’s a different problem. “Government has built hospitals with qualified doctors for people who seek medical attention. We don’t have trust in traditional medicine to encourage people to use it,” Kabatende said. He explained that, the challenge with the traditional medicine includes the dosage, quality of the drugs and the storage and handling of the medicines. Despite the lack of regulation, a solution is on the horizon and will come from a partnership between PSF, the Rwanda Standard Board (RSB) and the Ministry of Health. “We are working with the ministry of health on certifying them in the future,” said Simon Kwizera, Public Relations officer at RSB. A case in point, he said, is a laboratory that will test the traditional medicine which was built in Kicukiro district. 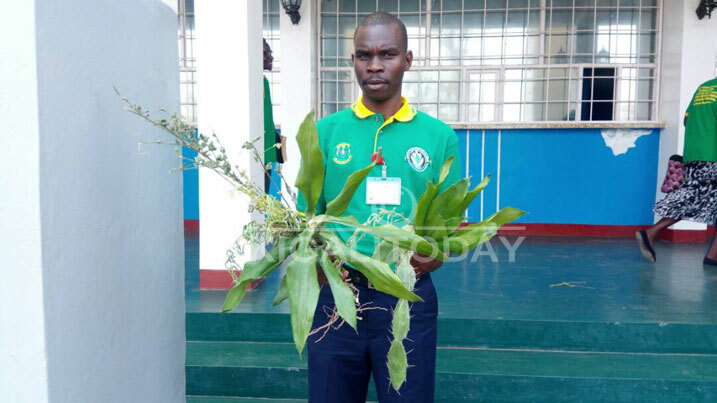 According to Tuyisenge from AGA Network, currently herbalists are operating under conditions that were set by Ministry of health pending a law regulating their profession. Kwizera says that currently none of them meets these conditions though. He explains that among the guidelines in offing is that traditional healers should only use medicine that originates from plants and animal products. Witchcraft is totally illegal in traditional medicine. Secondly and very importantly, herbalists should have seven generations of ancestors as herbalists to certify that it is their inheritance. Herbalists are required to collect ten signatures of people whom he/she healed. Herbalists are required to operate if only they have a signed authorization from cell to sector level. Their credibility should be confirmed by a board at district level among other requirements. Meanwhile, a number of Rwandans believe in traditional herbalists. Jeanette Uwiringiye, a resident of Nyarutarama cell in Remera sector of Gasabo district thinks Atraditional medicine should be legalized. “A couple of years ago, I suffered from ulcers but I only felt better when I visited traditional herbalists,” she said. “You don’t expect everyone to afford modern medicine, they (traditional herbalists) should exist,” Vincent Mugabo, another citizen said.